Amazon sales platforms are (no duh) a big decision for anyone looking to cash in on 21st Century version of the California Gold Rush. Luckily, there are only two paths to take when it comes to how you manage, organize, and ship products. 1st party logistics (1P) and 3rd party logistics (3P). In this article, you’ll see the differences between these options. I’m not doing this because I have a strong opinion one way or another, but I do have a vested interest in our Amazon consulting clients using tools that work for their unique goals. Amazon sells your products for you. While that sounds like the quick and easy solution, there’s a caveat. Translation: you function as a wholesaler. You simply fork over your inventory to Amazon, and then they make most of the decisions. In the end, your business generates revenue AND your name and branding remains visible; however just remember about the lack of control with pricing. 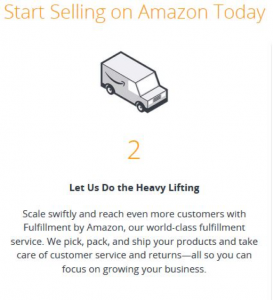 With a 1P Amazon sales platform, your listing will look very similar to those from 3P. 1P does give you some cool opportunities like A+ content however we’ll get into details like these later. However, it’s not all sunshine and roses (or teddy bears). Note the “The Vermont Teddy Bear Company” line here, meaning this product is being inventoried and shipped from these great bear loving folks. If they had elected though to inventory and ship through Amazon (a.k.a. FBA, or Fulfillment by Amazon) then their product would have listed with the fancy-dancy Prime listing, which we’ve all been trained since grade school to seek out. Now is that a bad thing? Not necessarily. As you choose between 1P and 3P for your Amazon sales platform (note you have to be invited into 1P), you’re going to look at two entities—Seller Central and Vendor Central. Keep reading to discover the benefits of each choice, so you can make the most profitable and streamlined decision. Let’s start with the 1P option, a.k.a. Vendor Central. Marketing access is yours. 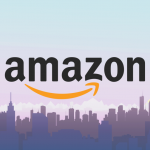 Amazon knows how to get your product in front of people, and with Vendor Central, you have access to their full suite of shiny tools (some of which are also available to 3P). It’s more exclusive. The thing about Vendor Central is, you have to get an invite. While that might turn some people off, the “VIP-ness” lends street cred. Your business doesn’t have to deal with customer service. And that’s because Vender Central comes with Amazon’s team. Yep, there is a group of people wearing headsets who have to say “I’m sorry to hear that, sir.” 50,606 times a day. The way I see it, there are three major pluses to choosing Seller Central (3P). You get control. You choose the product and the price. While small business ownership generally dictates you have this freedom, this isn’t a given luxury on the 1P platform. Analytics appear at your fingertips. As an SEO guy, I’ve spent years digging up data and studying user behavior. And the thought of having free analytics at arm’s reach makes me feel all warm and fuzzy inside. There is no velvet rope. You don’t have to pass a litmus test to start. In fact, with the 3P option, you can start selling on Amazon right now. As in today. You can do both, but it can get tricky—scratch that—it will get tricky. The first step to reap the benefits of both platforms means doing well enough for Amazon to grant you deeper access. I can help. Give me a call at 704-412-8489.